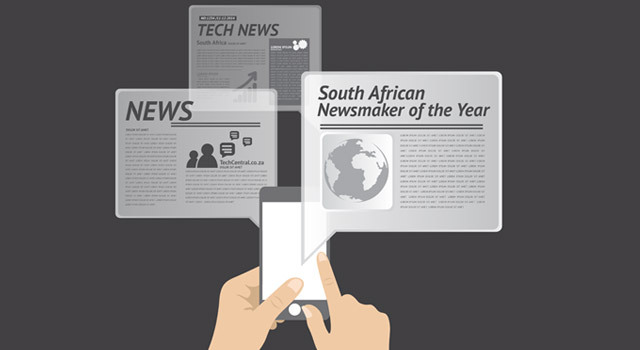 Here they are, TechCentral’s South African ICT Newsmakers of 2016. These are the individuals, in ascending order from five to one, who we believe were the most newsworthy in the technology and telecommunications space this year, for good reasons and bad. The co-CEOs of JSE-listed Blue Label Telecoms squeak into the top five on our newsmakers list for 2016 for their audacious plan to acquire 45% of South Africa’s third mobile operator, Cell C, for R5,5bn. The deal isn’t done yet — a court challenge by a disaffected Cell C shareholder could yet scupper a planned recapitalisation — but we certainly wouldn’t bet against it happening. But is Cell C really a good buy? Blue Label shareholders have already given the deal the thumbs up in more ways than one, with the share price almost doubling in the past year. At the very least, the acquisition provides another avenue for investors into the telecoms sector. The Levy brothers are also two of the smartest and shrewdest business leaders the sector has produced. If they believe there’s a big opportunity in Cell C, it’s well worth sitting up and paying attention. 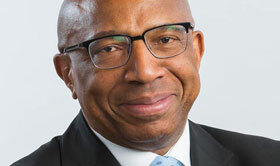 Sipho Maseko is well into his fifth year as Telkom CEO — an achievement in itself given the high rate of turnover at the top of the company in the past decade. But he’s also proved his mettle, making the most sweeping changes (many of them long overdue, it must be added) to the organisation since it was separated from the Post Office in the early 1990s. Supported by a strong board of directors — especially a powerful chairman in Jabu Mabuza — Maseko has enjoyed a free hand to reshape Telkom for the era of competition. He’s also had the guts to slash the size of the workforce and stare down militant unions. Telkom still has challenges. Poor customer service and rapidly emerging competition in fixed lines are two headline problems that will be exercising his mind in 2017. Telkom was late in realising it needed to replace its copper last-mile network with fibre, and it’s paying the price as companies like Vumatel eat its lunch. But let’s not let that detract from the fact that Maseko has had an outsized impact on Telkom already. He has literally transformed an organisation whose future success will be built on the solid foundations he is laying. We’re willing to bet MTN’s interim executive chairman (in effect, its acting CEO) can’t wait to see the back of 2016, which has, without doubt, been the worst-ever year for the South African-headquartered emerging markets telecommunications group. There was little for Phuthuma Nhleko to celebrate as MTN’s share price tanked (its market capitalisation fell below rival Vodacom’s), Nigerian authorities got tough on a record-setting regulatory fine (now settled at US$1bn, although it’s challenges in the West African market, its largest, are far from over) and commercial pressures mounted in its key markets. 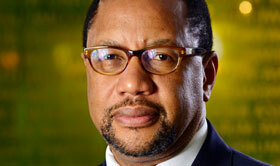 Nhleko has spearheaded big changes at MTN in the past year that should set up the group for a better 2017. It will have an almost entirely new group executive management team from next year. The new managers, to be led by incoming CEO Rob Shuter (ex-Vodacom and ex-Vodafone), should bring long overdue fresh thinking to the group. Long-suffering shareholders will no doubt have their fingers crossed that 2017 marks the start of a turnaround. 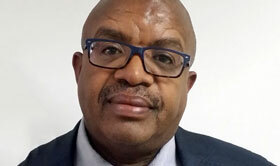 The former acting director-general of the department of telecommunications & postal services very nearly made the top spot in our newsmakers list for 2016 (he would have been there if it hadn’t been for an obvious candidate for the number one position). The national integrated ICT policy white paper, the development of which Mjwara spearheaded, has components to it, such as rapid deployment of infrastructure guidelines, that will help make South Africa’s telecoms industry more efficient and competitive. But in other areas, the policy is deeply naïve — dangerous, even. The most notable problems are its proposals around spectrum allocation and a national wholesale wireless open-access network (Woan). The Woan in itself isn’t the issue (it may actually be a good idea); it’s that the white paper calls for the Woan to be the only entity to receive access to new mobile spectrum. That means Vodacom, MTN, Telkom, Cell C and others will be excluded from getting access to exclusive-use spectrum, a model that has worked well in South Africa and around the world. Why try to fix something that isn’t broken (especially if the cure could be worse than the supposed problem)? The policy document even moots the idea of taking spectrum away from operators, which have used their allocations to build 2G, 3G and 4G networks at enormous expense. This amounts to effective nationalisation and, in plain language, is stupid — and probably unconstitutional. Government should experiment with the idea of a Woan, giving it access to a smallish subset of available spectrum. But it should absolutely not do it to the exclusion of everything else. The white paper proposes throwing the baby out with the bath water. Mjwara may have had consumers’ interests in mind when he led the development of the white paper. Unfortunately, as it currently stands, the policy document will likely harm not only the industry but consumers as well. It needs radical surgery before becoming law. Who else could have topped our list of ICT newsmakers for 2016 but the one and only Hlaudi Motsoeneng, the SABC’s self-appointed czar who spent the year rampaging through the broadcaster’s Auckland Park studios, leaving little more than chaos and destruction in his wake? Time may fast be running out for Motsoeneng (and his coterie of praise singers at Faulty Towers, including the bumbling chairman, Obert Maguvhe, who embarrassed himself in parliament this week when he showed how little he knows about the corporation). 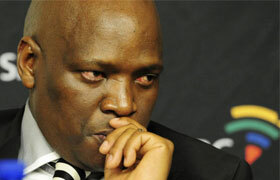 The law is fast catching up with Motsoeneng, as evidenced this week when the high court found that his appointment as general executive of corporate affairs was unlawful. He is now barred from entering the SABC’s gates, unless he appeals the judgment (which he will no doubt will do if he doesn’t have to pay for the lawyers himself). How Motsoeneng has managed to stay at the corporation for as long as he has — awarding himself fat pay hikes while terrorising journalists and censoring the news — is quite something to behold. We know how he’s clung on, of course: he enjoys the tacit support of President Jacob Zuma. He simply could not have survived this long without ubaba’s love for him.